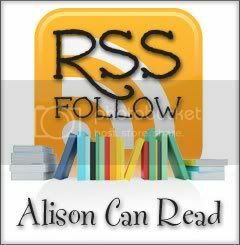 Amber: I Started the blog in January 2011 and Amber R. jumped on in May 2011. Meeting all the other bloggers and talking to authors. We love having a group of people that love reading as much as we do. Plus getting to recommend books to other people and having them fall in love with a book just based on our recommendation is amazingly awesome! This is a toughy, we love so many books. How much time do you have? lol okay okay if we have to pick just a few we'd say anything from Keri Arthur (can't just pick one of her series) Chicagoland Vampire series, Night Huntress series, Morganville Vampire series, Darkest London series, Otherworld series, Highlander series by KMM, Okay we must stop now or else we will just keep going. There have been a lot of amazing things that have happened due to blogging, but we must say the best thing ever is meeting Rachel Caine and having a few drinks with her. We got to sit there and talk to her and she knew who we were by our blog and it was surreal. If you know us then you know we talk about this moment often. We are still stunned that it happened and will continue talking about it forever! First off, I am either in an airplane on my way to Europe or on the ground in Munich this weekend, so my comments will probably be limited. I'll get back to commenting in late September when I'm done with all my travels. Just thinking off the top of my head here - I hated the cover for Anna and the French Kiss. The cover itself isn't so bad. But it makes the book seem fluffy. While Anna and the French Kiss is a sweet romance, it's much more than the inconsequential fluff piece the cover makes it out to be. I never read this one, but I have not heard one bad thing about it. The cover never bothered me though. I adore Anna and the French Kiss, and I like the cover. But? I totally see what you mean... too fluffy for the book itself. Anna was amazing, but the cover was kind of misleading. At first I was not going to get the book because it seemed so fluffy. But in the end, it was still a book worth reading! Completely agree with you. Also why doesn't he have a head? I'll never get over that lol. I can totally see what you mean about the cover for Anna and the French Kiss- but I do have to say, I like it A LOT better than Lola and the Boy Next Door! Thanks for hosting the Feature and Follow hop! I participated for the first time and finally deciding to delve into the book blogging world, and this will make it much easier to reach new people. I have to agree with you Alison.. I understand what you mean about the cover, but it never bothered me. I don't love it, but I also don't hate it either, my feelings are neutral on this cover. I haven't read the book but I have heard it was cute. I always feel bad for the author when the covers just don't seem to work for the book. Aw, that's such a cute cover, but I understand what you're saying even though I still haven't read this book - ack! It's a nice cover and I haven't read the book yet! Have fun where ever you are! Seen this one already! Agree as well that it's pretty blah. Never plan on reading either, I don't care for contemp these days! Safe travels, and have fun in Munich! I'm an old follower stopping by, and here's my FF post for this week. It is quite a bland cover. Enjoy your travels :). Originally I was going to choose Anna. The cover isn't actually bad, it just doesn't do the book justice at all. I like the Anna cover, but definitely agree that it doesn't showcase what's inside at all. Good luck with all your travels! Old follower. I still have yet to read this book, but I never thought about the cover. I suppose it hasn't really made me want to read the book. Great pick. Are you for reals??? I loved that cover! Perhaps the only thing that I didn't like about it was that Etienne wasn't exactly on the cover. Yeah, this cover is just a little cheesy for me! I love how you can't even see the other person's face. what's up with that?? The only reason I added this to my TBR was it has good reviews. I agree the cover isn't the best. I don't mind the cover though i've never even read that book. Hey! I'm new to this meme so im not totally sure what to do but love your blog!